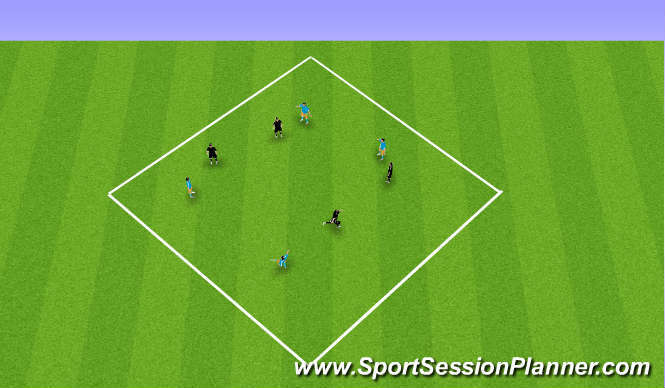 Passing drill 1 - 2, a plays to b, b plays back to a and moves across to rcieve the from a on the back foot and then travel acroos to c and repeats. 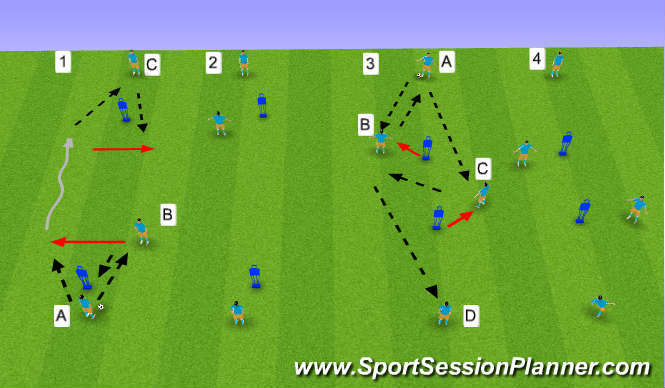 Passing drill 3 - 4, b moves of the manakin to recieve from a, b plays it back to a who then plays c who has made a movement of the manakin, c sets across to b who plays a pass to d, always return to the manakins to make movement to recieve the ball. 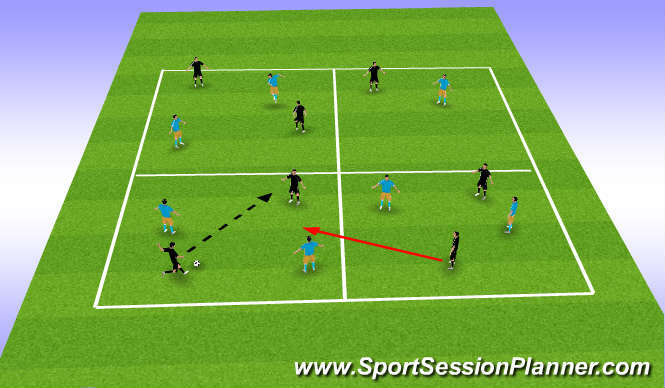 14 players, spread round 4 boxes as shown, keep possession and always creating an overload in the box where the ball is, transfer ball into other boxes by either running the ball in or finding a pass to a team mate and supporting the pass by creating an over load in the box, it can only be a 3 v 2 in the box.